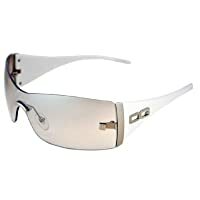 These are very high quality, stylish sunglasses. 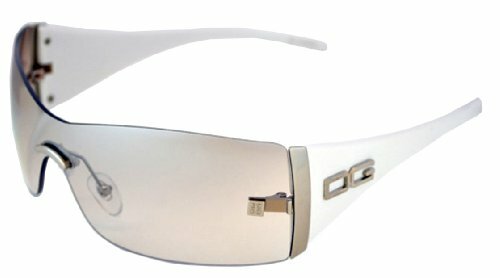 The frames are rimless and come in choice of black or white - each with a stylish silver DG logo on each side. They are 5.5 inches wide with white mirror polycarbonate lenses that are 1.38 inches in height.